Minnesota’s new value of solar law appears to contain a major loophole. The law creates a methodology for utilities to calculate a rate for customer-generated solar power, based on avoided infrastructure, pollution and other costs. However, the value of solar rate is voluntary. Utilities have the option of paying the new rate or continuing with the existing net metering policy, which compensates customers with small arrays at the retail rate. The issue -- whether customers or utilities should be able to make that choice -- was a bone of contention during the extensive stakeholder process to develop the policy, and remains so today. In testimony to the Public Utilities Commission, Xcel Energy, Minnesota’s largest utility, estimated a value-of-solar rate of 14.5 cents per kilowatt-hour. Meanwhile, Xcel’s residential retail rate is 11.5 cents per kilowatt-hour. So if the value-of-solar rate is higher than the retail rate, will utilities actually adopt it? The answer, most likely, is yes, according to a new analysis released by the Institute for Local Self-Reliance. John Farrell, who authored the report, says the key is to look at the different ways the policies are structured. Under Minnesota’s net metering policy, solar power is treated essentially as an efficiency resource. The kilowatt-hours customers generate are subtracted from the kilowatt-hours they consume, and the customer is billed for the remainder. If the customer produces more power than needed, the utility pays the customer at the retail rate. Value of solar, however, treats the solar panels like a small power plant. 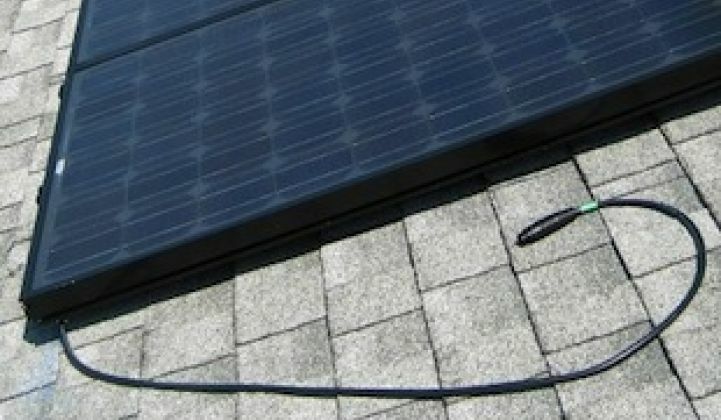 The utility enters a 25-year contract with the customer at the value-of-solar rate, which is determined according to a methodology developed by the state Department of Commerce. The dollars earned by customers through that contract are then credited toward their utility bills. That means, according to Farrell, that the higher value-of-solar rate is actually a better long-term deal for the utility, because the price is locked in. Farrell says that’s also better for customers, because the contract provides certainty that will serve to decrease financing costs. Meanwhile, “the transparency of the market price means no concerns about cross-subsidies between solar customers and non-solar customers.” In other words, ratepayers can be assured that they aren’t paying a larger portion of fixed utility costs than are solar customers. “In theory, everyone is a winner if utilities adopt Minnesota’s market value of solar,” Farrell writes. And if those rates rise, there’s no guarantee utilities won’t push for legislation to end net metering policies, which is already happening in several other states. Also, the value of solar rate is pegged to avoided costs -- new power plants, fuel costs, transmission costs, and carbon emissions -- which are all tending to become more expensive over time. Meanwhile, solar panel costs have been falling significantly. So under current trends, solar power should continue to be economical. And not tying the price to the retail rate is a better deal for ratepayers, helping build support for new solar, Farrell argues. “As the spread between the retail rate and the actual cost of solar energy grows, ratepayers start to have very strong preferences for solar acquired under PPAs or other negotiated agreements rather than net metering, because it will be much cheaper power,” says Farrell. Farrell says it’s too soon to determine whether the value of solar policy will work, but how utilities implement it will have a lot to do with it. Editor's note: This article is reposted from Midwest Energy News. Author credit goes to Ken Paulman.